I’m a highly trained full time real state professional, I’m not a home builder or remodeler, I don’t own a title company or a mortgage company. 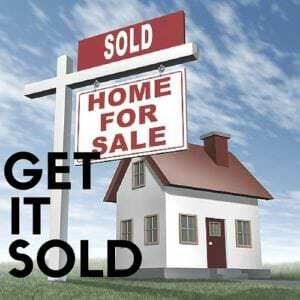 My sole job is to exclusively represent buyers and sellers in the purchase or sale of their home. I am completely dedicated to my clients and I always put my client’s interests ahead of mine. Selling a home in today’s market, you need a professional in your corner, real estate transactions are long, complicated and full of pitfalls and a successful outcome is highly depended on whom you choose to navigate the process for you. I’ve negotiated hundreds and hundreds of real estate transactions and I bring wealth of market knowledge and negotiation experience to every transaction. My background includes 10 years as a Director of Sales and Marketing for major home builder in the Dallas area and 22 years as a licensed realtor. Every transaction is unique and has its own set of issues and challenges, many which you haven’t even imagined. You need a realtor who can handle the ups and downs of a real estate transaction all the while keeping the deal on track and keeping your best interest at heart and making sure the your transaction closes. I’m going to aggressively negotiate the best terms and conditions on a purchase and sale contract. I will analyze a home inspection report and aggressively negotiate the best terms for you and I am going to shield you from overly aggressive and unreasonable counter parties. I am going to make sure that the sale of your home will be as stress free and enjoyable as possible. I don’t do drama and I don’t like my clients exposed to it, I’m going to handle many of the problems before you ever hear about them so the sale of your home will handled in a low stress professional manner. . So when you’re ready call me or text me at 817-403-1149 to discuss your plans.